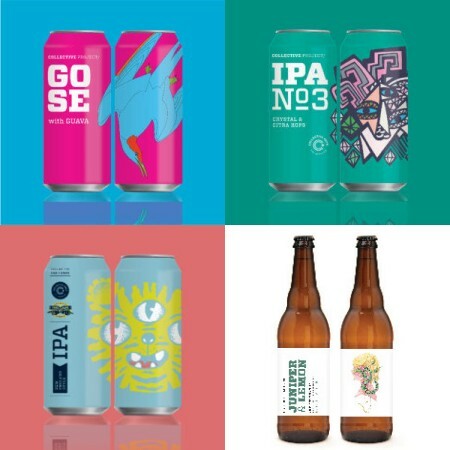 HAMILTON, ON – Collective Arts Brewing has announced details of three new beers and a limited edition cider that will be released in June and July. We took our Gose, fresh guava puree and then we let the brewers go to work. The end result? A perfect balance of tart, sweet, and sour. Expect the Pink Himalayan Salt and flowery guava to leave you refreshed and wanting more. Adding the hops in the whirlpool and not the boil lets the hops do the talking. Crystal adds a beautiful earthy & woody backbone while Citra shines through with notes of stone fruit, grapefruit, and lime. A mashup of two great minds. Our Brewmaster Ryan, and Brewmaster Phil from Two Roads Brewing came together to brew our 2nd collaboration beer. They used Chinook from Connecticut and Ontario for this New England Style IPA. For this new cider, we’ve taken our flagship Local Press and added Juniper + Lemon for a crisp and refreshing summer drink. The lemon, juniper, and fresh apple notes meld together harmoniously, and are reminiscent of a gin soaked granny smith. The three beers will be available in 473 ml cans, and will go on sale at the Collective Arts retail store at 11:00 AM on the dates noted above, with IPA #3 also getting LCBO distribution. Juniper & Lemon Cider will be released in bottles at select grocery stores in Ontario. All four brands will be available at select bars and restaurants while supplies last.